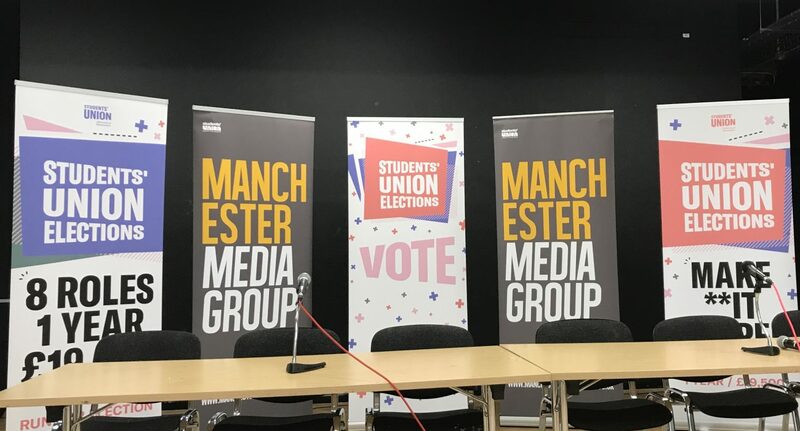 Jake Garrett has been announced as the new International Students’ Officer, almost two weeks after the announcement of all other University of Manchester Students’ Union (SU) Exec Officers. The delay comes after an investigation into the campaign tactics used by some candidates in the SU elections earlier this month. A statement released by the SU reads: “On Thursday 7th March 2019, an investigation was opened into the International Students’ Officer election after we received a large number of complaints. This investigation, carried out using the Students’ Union’s due processes, subsequently delayed the announcement of the result of the election. The Mancunion understands that Dishika Bhalotia, who was at the centre of allegations of misconduct, was disqualified from the election. Due to SU “processes”, it is unclear if Bhalotia won the election and was then subsequently disqualified, this is because disciplinary action is always taken before looking at the number of votes cast. At an explosive results evening almost a fortnight ago, two candidates who were barred from campaigning in person were elected to serve as executive officers and the announcement of International Students’ Officer was postponed due to the “unprecedented number of complaints” received by the SU about some campaigning tactics. The announcement of the newly elected International Students’ Officer comes as candidates running for the position were growing frustrated at the delay and lack of communication from the SU, thought to be due to an independent NUS panel responsible for dealing with disputes.